Only a lucky few get to experience travel to wonderous Antarctica — a life-changing voyage you should trust only to the seasoned experts at A&K. More than a seventh continent to conquer, it’s an extraordinary place beyond a bucket list, addictive in its beauty, ever-evolving and home to the world’s most important conservation research work. At the edge of the map, the White Continent represents the last true wilderness and a launching pad for dramatic extremes. Gargantuan icebergs and glacier-cloaked mountains, stunning bird and epic marine life not found anywhere else on earth, geothermal beaches and dramatic light reflected across ice-blue seas — count these among Antarctica’s many magical displays. Download or request our 2019-20 brochure to learn more. Cruising since 1991, A&K voyages boast an unmatched expertise. See it firsthand alongside our award-winning Expedition Team, a cast of seasoned academics, photographers, and real-life explorers, each with an average of 15 years of experience sailing with A&K. Our experts match each itinerary with the newest and most advanced small ships for each region. In Antarctic, we choose elegant ‘Le Lyrial,’ a purpose-built, luxury expedition ship featuring cutting-edge technology and plush comforts. Every A&K voyage is exclusively chartered to bring you the best of everything, and features not just an expertly selected vessel, but also a private balcony with every accommodation, a limited guest count far below capacity and a remarkable personnel-to-guest ratio at 1 to 1.3. Gratuities, transfers, port charges, Wi-Fi and laundry service are among the many things we include on every A&K cruise. You’ll also enjoy complimentary expedition gear and rental equipment, all Zodiac excursions, and a beautiful, all-inclusive culinary experience with unlimited house drinks. Town & Country Awards A&K "Best Overall, Expedition Cruises"
Building on a longstanding tradition of excellence, Town & Country has honored A&K with Best Overall, Best On-Shore Activities and Best Food awards in its 2016 Expedition Cruise category. I cannot find enough superlatives to describe this trip. Everything and everyone was above my hopes. A&K staff were incredibly competent and caring. I return home a much more learned and calm human, as I have been touched by a land of complete peace and exceptional beauty — a land as it should be. Ride along on an Antarctic shore excursion with the A&K Expedition Team and listen in as our climate ecology expert Dr. Jim McClintock shares insights into the unique synergy of landscape, wildlife and heroic lore that is Antarctica. From awarded-winning scientists and habitat conservationists to photographers, historians and cultural experts, A&K’s polar Expedition Team boasts a wealth of unmatched experience and naturalist guides representing the best in their fields. Step aboard all-balcony 'Le Lyrial' and cruise the world’s most remote Antarctic waters in total comfort. Expect premium accommodations with a private balcony for every guest; top-notch service from an experienced, English-speaking staff; and every unexpected luxury for unequaled exploration across the wild Southern Ocean. From unique wildlife to incredible scenery not found anywhere else, Antarctica is a place that defies explanation. Discover our ten favorite reasons for visiting the Great White Continent and find your inspiration for the adventure of a lifetime. Home to a staggering array of birdlife on the planet. While that in itself is deserving of a visit, it's only the tip of the iceberg. See how South Georgia's wildlife, mountains, fjords and epic history culminate for a can’t-miss stop on any Antarctic journey. 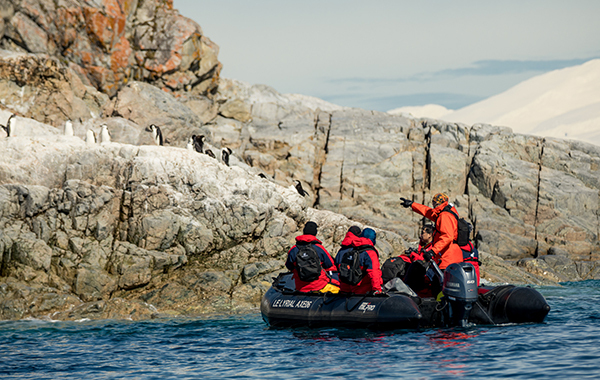 Travel writer Eileen Ogintz shares her favorite moments from a special family departure of Antarctica, South Georgia and the Falkland Islands, during which dozens of young explorers and their parents and grandparents embarked on the adventure of a lifetime. 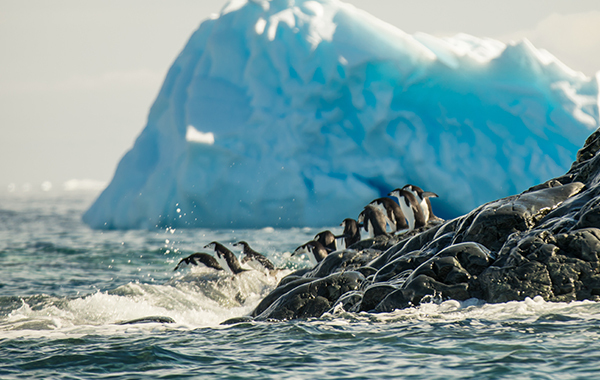 The Southern Ocean is home to an array of unique wildlife, offering opportunities to spot Gentoo and other species of penguins, humpback whales and elephant seals. Learn who really rules the rookery on the White Continent with our handy guide to penguin species, and see how emperors stack up next to kings and Adélies weigh in against rockhoppers. Spotting wildlife is one of the biggest thrills to be had on an Arctic cruise adventure. Know your Weddell seals from your humpback whales with this deep dive into Antarctic marine life. 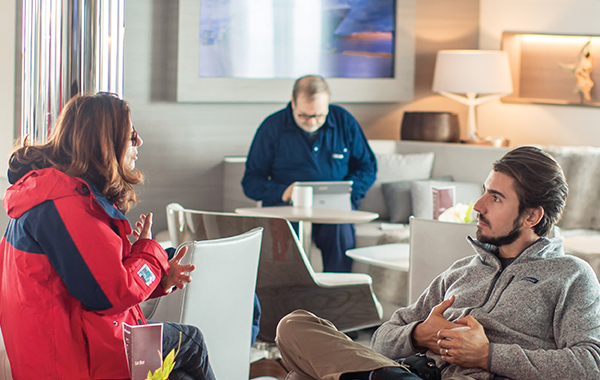 Dive into firsthand stories, favorite blog posts and the latest trip logs from our Antarctica cruises. Discover firsthand stories and unforgettable moments from A&K adventures in Antarctica, as told by our guests and Expedition Team.